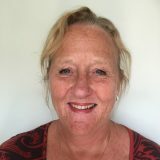 Sue is an experienced senior therapist with a particular interest in generational and complex trauma. Sue offers short and long term therapies for adolescents, young people and adults, both one to one, in couples or pairs and family groups. Sue has worked in senior management in education so brings experience of workplace stress and anxiety and also the view of young people. Transitional experience for young people can be difficult and disruptive to life and relationships; talking with a professional outside the school or home environment can provide an opportunity to understand difficult thoughts and feelings and often prevent a deepening of unhelpful procedures and relational experience. Sue is a Trustee for ACAT with particular responsibility for Continuing Professional Development (CPD). She also runs a counselling service for Clergy and their families needing emotional and psychological intervention. She is Vice Chair of Association for Anglican Counselling (APC) which works with Clergy & their Families needing therapy. Sue is governed by the HCPC (Health Care Professionals Council) Codes of Conduct and is accredited by UKCP and Resolution.